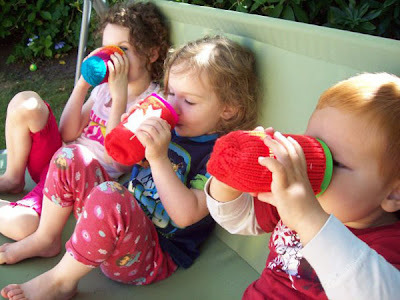 The Drink Toque: Warning : adorable - Kids love them too! Warning : adorable - Kids love them too! Either these kids haven't had a drink of water in two days, or they are loving their new Drink Toques! Yeah, Amanda's kids dig Drink Toques. Thanks for sharing Amanda!